The results are in for the first week of outdoor, and Ciara O'Shea (52.95% of the vote) and Vasean Green (58.54% of the vote) are your performers of the week. Both had a solid week of competition last week. Let's highlight each of their performances and take a look at what is coming up next. The 8th grader continued to light the running scene on fire. She took home her first (of many) KYtrackXC 5K Showdown titles in a cool 18:09 while competing against of the other top distance runners in the state in Katy Chapman, Maggie Aydt, and Ashlyn Liddle. 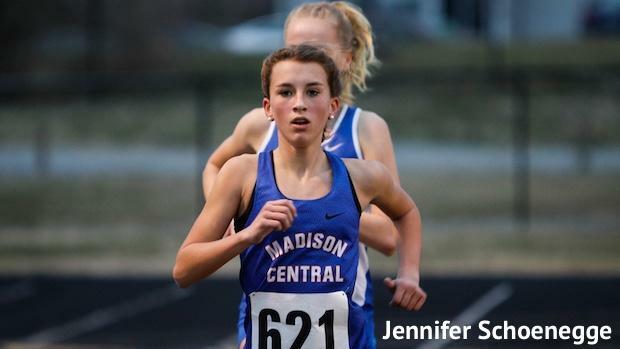 Her time continues her tear from the cross country season where she was the class AAA state champion and placed 30th at Foot Locker South Regional. Her indoor season was quiet with only two performances, but she looks ready to take home some more state titles. She will have stiff competition in AAA with Karlee Hoffman, Jenna Strange, and Maggie Aydt there ready to dethrone. So far, it has been all O'Shea. Up next for Ciara looks to be the Tates Creek All Comers (3/27) this week followed by a HUGE meet at the GRC Heavy Metal Throwdown (3/30) at Transylvania University. At the GRC HMTD she will be competing in the 1600m and 3200m and currently is the top seed in the 3200m and will have a great race with Kailee Perry in the 1600m. To add to the excitement, the KYtrackXC team will be streaming the 2019 GRC Heavy Metal Throwdown LIVE. 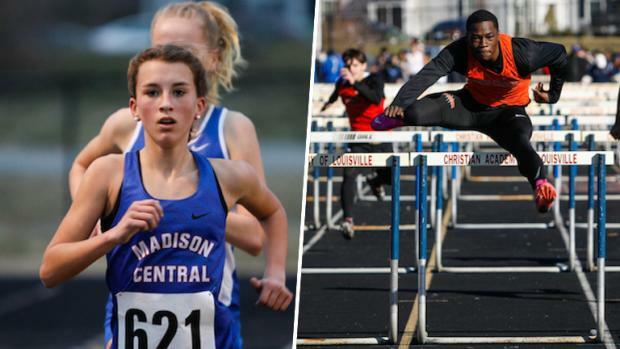 Tune in on March 30 to catch all of the action, only on KYtrackXC! Ciara discussed her expectations for the season following her KYtrackXC 5K Showdown win. Look out for her to grace a track near you. Eastern Relays....GET READY! Want to talk about coming out strong on the 2019 outdoor season? 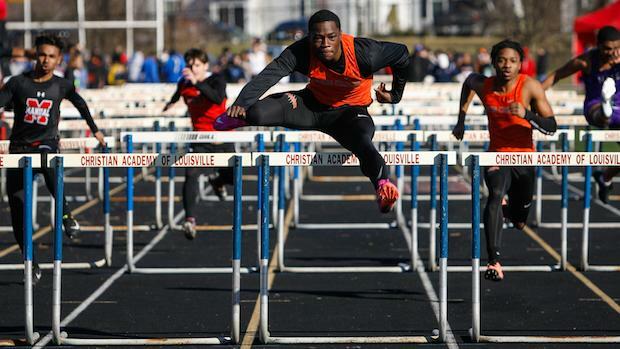 Vasean Green did just that last week with a big win in the 110 hurdles at the Harry Greschel Invitational and a new PR in the 300 hurdles at the Male All Comers in 39.68. These performances come after an indoor season that saw him take home two KTCCCA Indoor State Championship titles, 55m dash and 55m hurdles, as well as the 60m hurdles Wildcat Classic winner and 12th at the UK High School Invitational against a stacked field. Green returns in 2019 as the favorite in the class AAA 110m hurdles after Male's Darian Clyburn graduated. His runner up finish last year gives him the inside track on a 2019 state title. The junior has expanded his focus from the hurdles so far this outdoor season with a appearance in the 100m and 200m at Wednesdays at Walden and Harry Greschel Invitational. Watch this name this indoor season as someone who could dominate all season and bring home some hardware for a team that is on the rise! Green took home the KTCCCA Indoor State Championship in the 55m hurdles earlier this month.